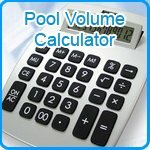 Welcome to our Above Ground Swimming Pool selection! Below you’ll find a hand picked selection of what we consider to be the very best Above Ground Swimming Pools on the market from manufacturers with a proven track record of excellence, innovation and consistantly high quality products. A swimming pool solution without the extensive, messy build and minus the hefty price tag! Above Ground Swimming Pools are the ideal solution for people who want a swimming pool without the messy, massive workload or hefty costs that come with building an in ground swimming pool. Amongst our selection you’ll find supreme steel sided pools from US manufacturers Doughboy (a company with 60 years worth of pool production experience! ), who are one of the most popular and best selling in the UK. We also sell two stunning models of swimming pool by Canadian manufacturer Vogue; the Discovery being a standard model with a sophisticated build and elegant finish, and the Teakwood which features a realistic, refined timber effect design but for the price of a steel sided pool. Available in a variety of shapes and sizes, all of our pools come supplied with a warranty for complete quality assurance. If you need any further advice or information regarding our above ground swimming pools (including enquiries regarding the sinking of above ground pools, which is possible but not particularly recommended), then feel free to give our team a ring on: 0151 334 0222.